Home › Announcements › Omega Dragon is Here! 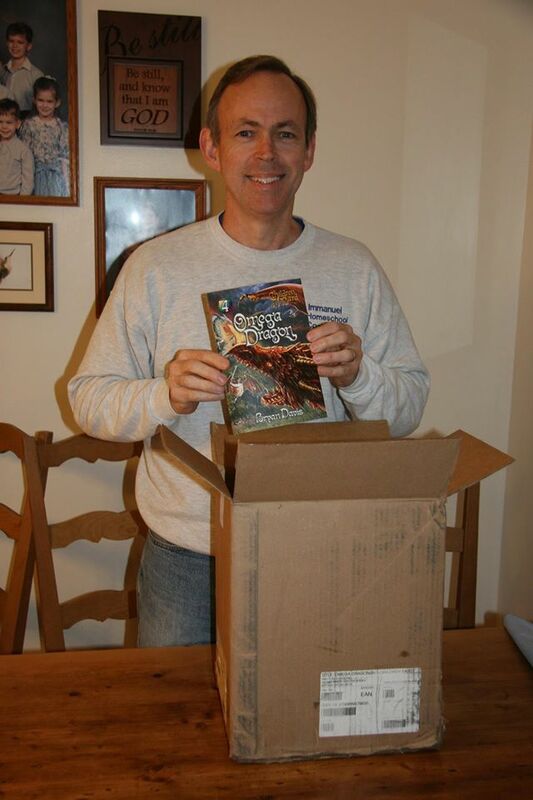 My copies of Omega Dragon have arrived! Book #4 in the Children of the Bard series, and the last entry into the Dragons in our Midst story world is now a reality! Read more about it at this link. As you can see in the photo below, I mailed out a bunch of copies. 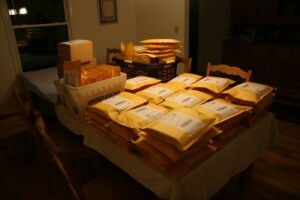 That pile includes all of the pre-ordered books as well as copies for contest winners. If you want to order a copy from me, now is the time, because I have to go to a conference on Tuesday, and I won’t be able to fill orders until the following week. I will be glad to autograph your copy as well. I wonder if mine is in that pile. Haha! Jordan Scott. In Meridian MS. Yes. The book arrived at the Meridian post office this morning. Expected delivery date is tomorrow, March 17.